What Makes Farm to Girl Different? We are Fresh,Fair & Free! Around the world, many women farmers live on $1 a day. At Farm to Girl, you directly empower these women and communities by creating a fair market for their traditional oil and products. 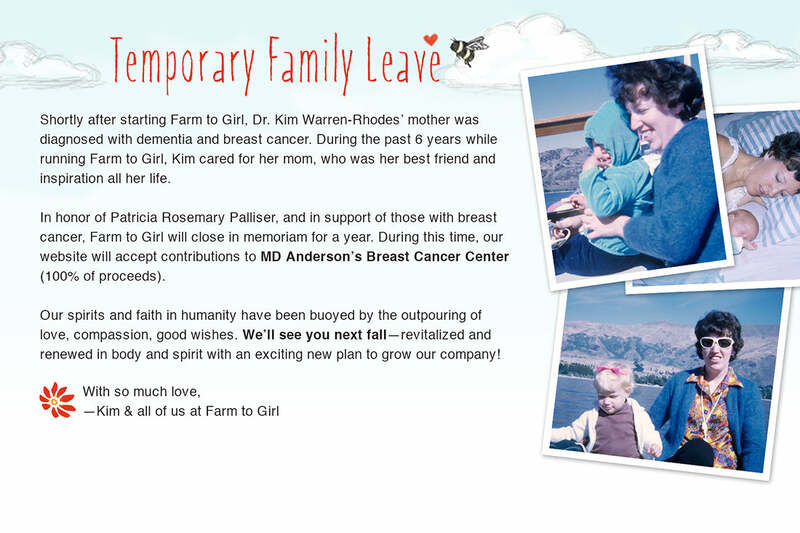 Learn more about some of the women and farmers that supply our natural ingredients. Farm to Girl’s labels are so easy to read even a 5th grader can do it! That’s because our products contain only natural ingredients and no synthetic chemicals or preservatives. And, our glass packaging doesn’t leach harmful chemicals into your skin and baby care—a healthy choice for you and the planet! Farm to Girl’s premium gourmet body and baby care gives you maximum healthy nutrition for your skin. And, 20% of our profit goes to help women in the communities where we source our amazing organic and fairly traded ingredients.